Homeschooling through high school can be tough. 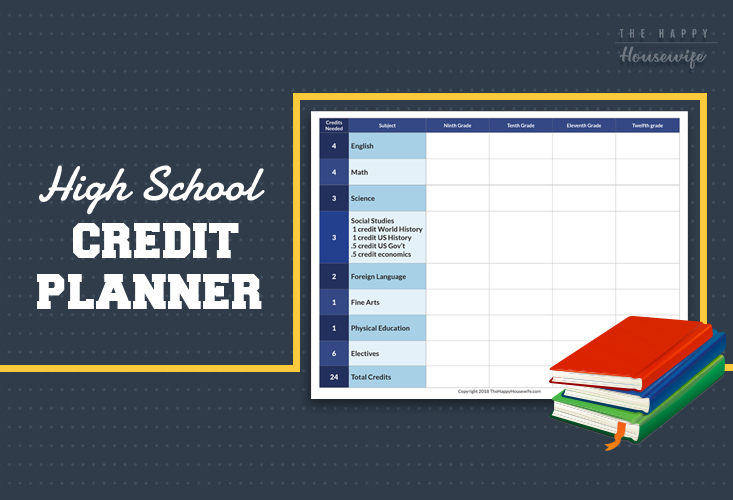 One resource I used to make sure my kids had all the requirements to graduate was a high school credit planner. 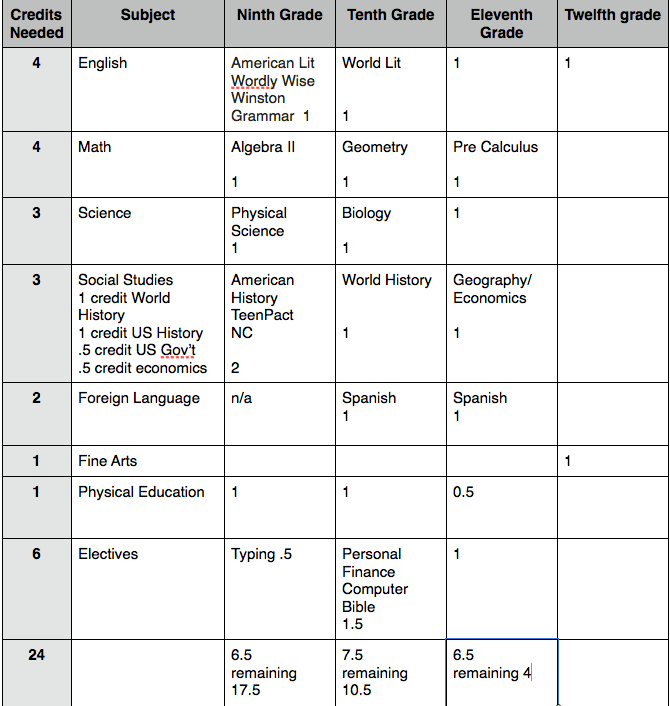 I recommend downloading the planner when your child is in the 8th grade. In the eighth grade, download your state’s graduation requirements. Unfortunately these vary by state so it is extremely important you know what’s required where you live. All states have a minimum requirement to graduate. However many states offer scholarships to kids who meet additional requirements so make sure you know those as well. 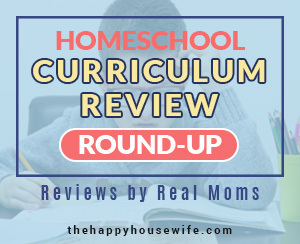 By beginning this process in the 8th grade you will be prepared for high school before you choose your 9th grade homeschool curriculum. On the left side of the planner you’ll find the credits needed and subjects. These are already filled in on the PDF version of the credit planner since the requirements and subjects are the same for most states. However, if you have different requirements use the editable version of this planner to make modifications. Starting with ninth grade, fill in the planner with the courses your child will take to fulfill the requirements. I always had a paper copy of the planner that I filled in with pencil. I kept a digital copy that I would turn in to the state evaluator or use to create a transcript. At the end of eighth grade, I would fill out the planner completely from ninth to twelfth grade. This will give you a big picture view of what your child needs to complete to graduate. I always made changes to the planner over the high school years, but knowing what was required helped me plan and purchase curriculum. Planning ahead also gives you time to find co-op classes to supplement their education if necessary. To download your homeschool high school credit planner just right click and save. You will then be able to open the document and print or edit. 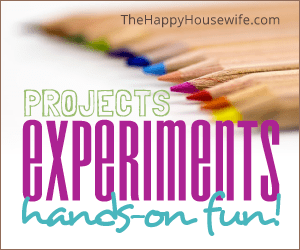 This helps me easily track my child’s progress and I can make changes based on their progress. It’s never too early to start planning for high school, so download your planner today. Need homeschooling through high school help? 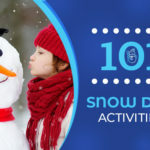 Check out these tips from Debra Bell. I love this. Although, the pdf does not download, and the doc. file does not open correctly, It gave me an idea of where I should begin for my highschooler. Thanks. You might want to try again by right clicking on the links and downloading them. I’ve asked around and other people seem to be able to download them without problems. 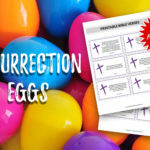 thanks for the templates! while we aren’t quite to high school yet, my mind is already quite occupied with the thinking, praying and planning. Thanks for posting this. I have a high schooler and this is a great BIG help. I appreciate it. Take care and God bless!! Thank you for sharing the template! This is our first year of high school. How do you find out what your state requires? We are in the process of pulling our 16 yo son out of public school and need to figure out how to homeschool him until he can graduate. Just google “your state high school graduation requirements.” It might even be on his high school transcript. This looks very similar to the form I use. My oldest often likes to look it over to see his progress. I think it makes him feel accomplished to see how much he has already finished.